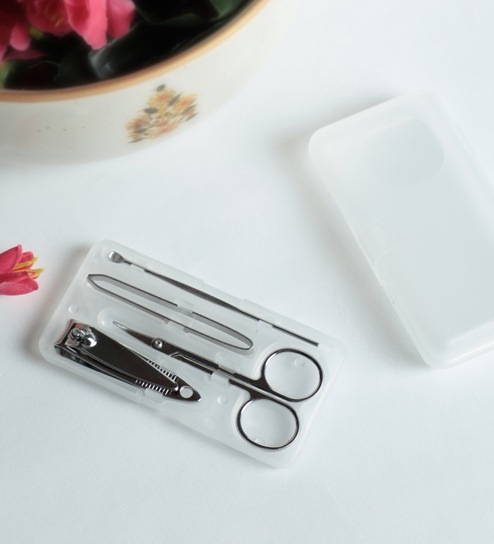 Now save time, energy and money on pedicures with the new compact Ideale 4-in-1 manicure set. Specially designed for working women, the set comes with all the basic tools for hand and toe nail grooming in a neat and compact space design. The set is always ready at hand for a quick, easy and smart manicure. It comes in an attractive leather case and is a pleasure to carry and use. Stay well groomed and you can also gift it to someone for enjoying a well groomed life with the Celestial 6-in-1 SS nail clipper set. Celestial is brand dedicated to excel with a combination of new age design and quality material which contribute to its growing stature in the industry. A one stop shop for home decor and furniture, Pepperfry sells a home product every 30 seconds.